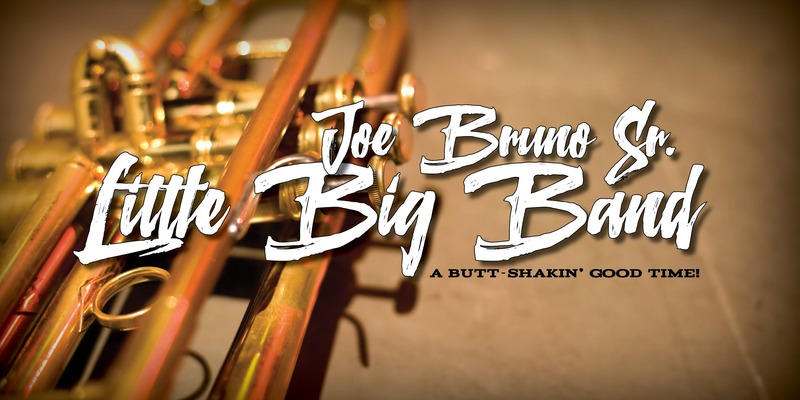 Come dance the night away with the legendary Joe Bruno Sr. and his Little Big Band! Joe has a career that goes back to 1940 playing trumpet as a kid in his dads' band. Since then he has been a band leader at the famous Parker House Hotel in the 60's and 70's before moving to Florida. Joe went to Las Vegas in 1979 and was the band leader at the 20th Century Holiday International Hotel. Now living in Florida, Joe's Little Big Band will keep you swinging all night long on one of the area's largest dance floors. Featuring some of the areas finest jazz and big band players, it promises to be a night to remember.